FT. GAY, W,VA. 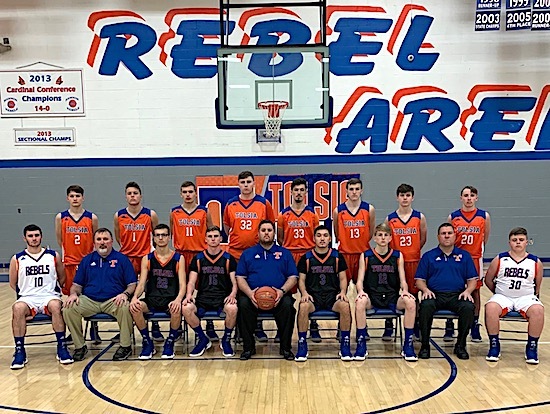 — Going into his second year as the Head Coach of the Tolsia Boys Basketball team Todd Maynard expects his Rebels to improve in every category even though this years team will be young once again. Tolsia went 6-17 last year but could have easily won at least five more games as depth was an issue. That shouldn’t be a problem this season with 25 players in the program. The Rebels lost Jared Switzer and Johnathan Johnson to graduation, both players averaged double figures in points per game. This season Tolsia will count on some experienced underclassman and solid Seniors to try and bring the Rebels back to prominence. 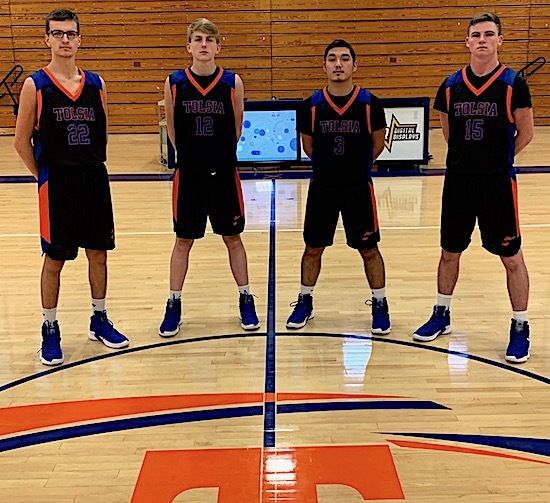 5-9 Senior Jacob Mollette scored about 11 points per game and was the team’s best long range shooter last year he also had 61 assists, Seniors 6-3 William Spaulding along with newcomers 6-2 Peyton Watts and 6-2 Braxton Williams will provide some depth. The Sophomore class is deep and talented with 7 players on the varsity roster led by 6-0 Austin Salmons who scored 11 points per game and was the teams leading rebounder, 6-0 Rob Cantrell scored 10 points per game, 5-8 Tyler Johnson at 5 points per game, 6-1 Zach Ball, 6-0 Wayne transfer Gavin Meadows, 6-4 Trey Brumfield and 5-10 Maverick Muncy. 6-3 Junior Zane Sturgill who missed all of last year because of a back injury and 5-6 Junior Blake Sturgell who will be out for the first four weeks because of a broken hand will provide energy. Freshman 5-8 Jesse Muncy comes in to the program with much deserved hype and could be the team’s best shooter after winning the three point shootout at ‘Meet the Rebels’ last week. Tolsia will play another difficult schedule and will be tested in December when they host the #RISEabove Rebel shootout on the 13th against Lawrence Co. and the 15th vs Huntington or Johnson Central. They will also travel to Lawrence Co. and Johnson Central in January. Rival Tug Valley will come calling at Rebel Arena on December 18th and the Rebels will visit Naugatuck on January 29th. The Rebels will also participate in the West Virginia HIT tournament for the first time. Tolsia opened the season Tuesday night at Rose Hill at 6:00.